It’s hard to see, but if you look close, there’s a cemetery, a very small one, under the tree on the right. Just a handful of headstones, a few bodies laid to rest, their sold granted this everlasting view. Its been raining all day. The weather here is exactly what it is back in Portland, 2000 miles away. It’s spring, I wasn’t expecting any different. 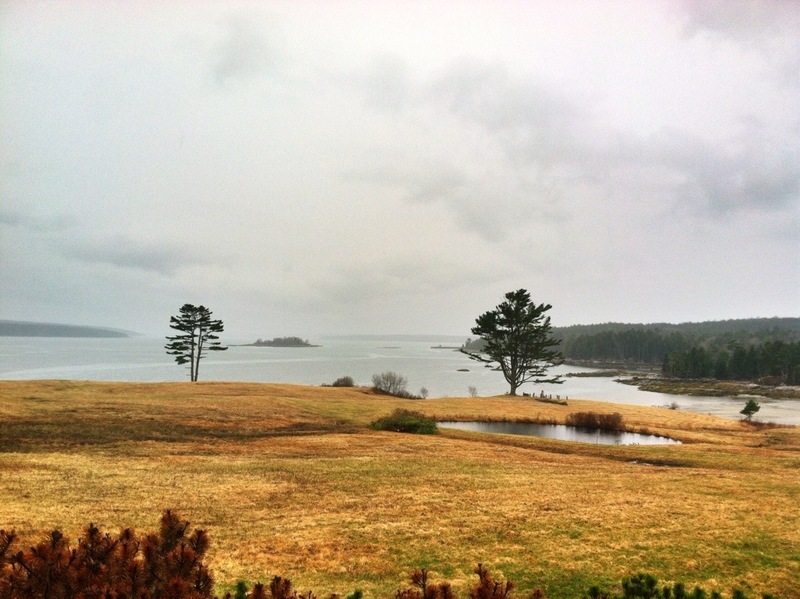 We’re in Bar Harbor now. I got a room with an sea view..more pictures later. I’m sitting in the Camden Public Library with my husband. It’s really the loveliest library I’ve ever been in. 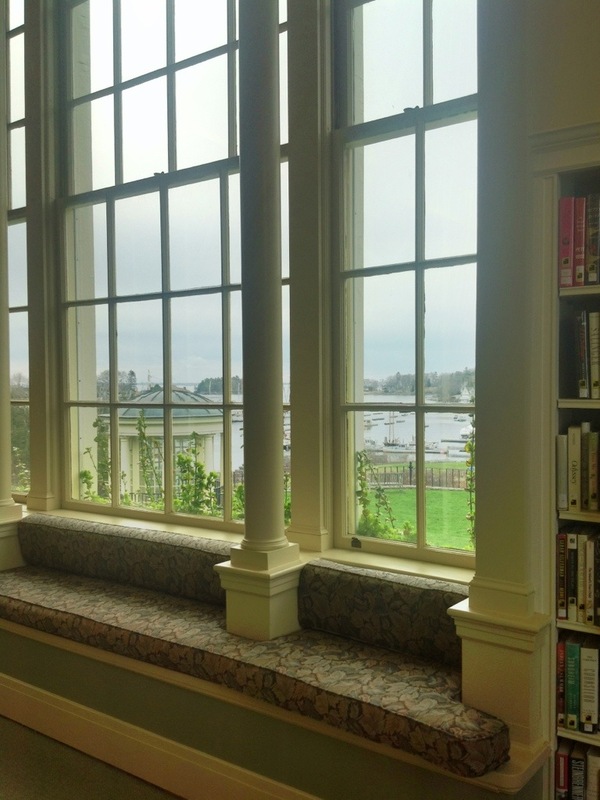 A large window overlooks the perfect New England harbor. 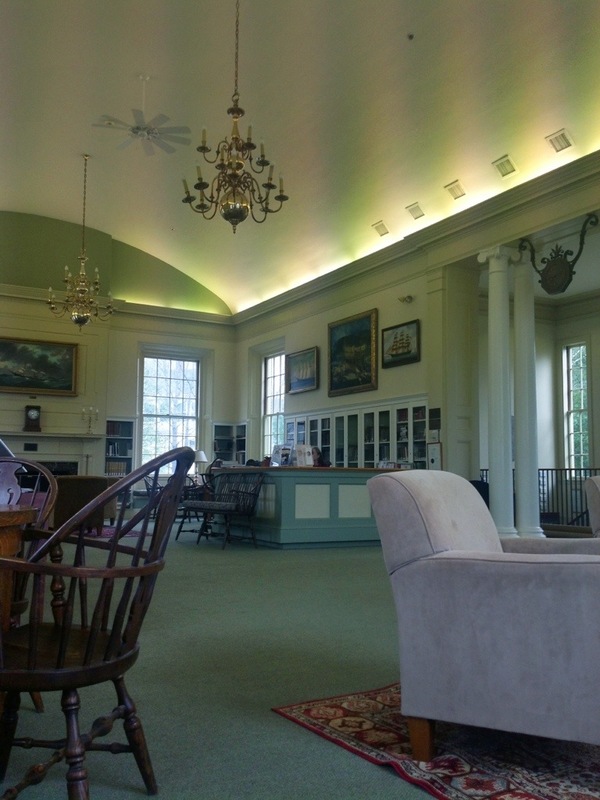 There’s a stately fireplace on the other end; art, comfy chairs, chandeliers…I could go on. It’s the first time my husband and I have stopped since we landed in Boston five days ago. We’ve criss-crossed the Vermont New Hampshire border too many times to count; we’ve been in the car so long the car looks likes like we’re actually living in it. This stillness is deserved. It is relished. This is the loveliest thing I have seen in a long while. My alma mater is in the NCAA championship. My cheering and clapping, especially my clapping, is upsetting my dog. Luka has never liked applause. I got Luka from the pound when she was nine months old…I’m not sure what happened to her before I brought her home, but she HATES clapping. Poor girl.